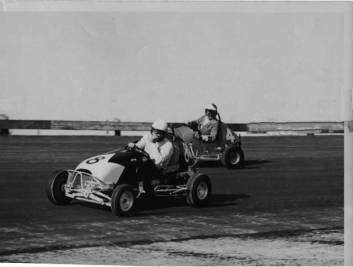 Warren Paquin (# 8) and his brother Ron (# 4) were long time members of the SFRA, and assisted in building the track. 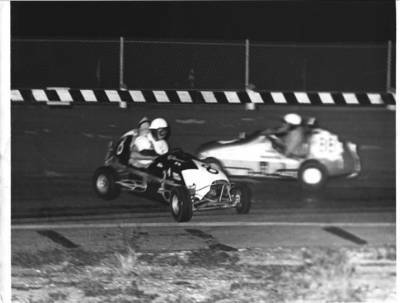 Warren and Ron sunk the poles in the banking to support the guardrail, and hung the speedway lights. 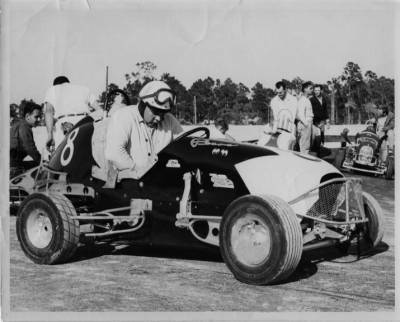 Here Warren straps into his #8 TQ which was powered by a Harley motorcycle engine. Things like this happen when you have your foot in it! Gary Smith takes evasive action. 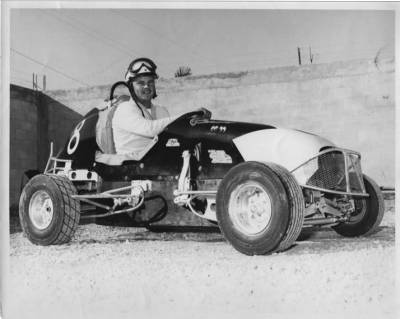 Brady Mason was tough competition, but was a family friend to the Paquins off the track. 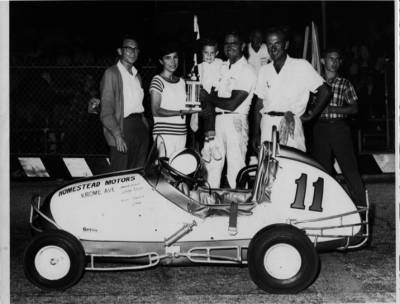 Ron is on the left in this shot, Warren is on the right with his son, Warren Jr. A great legacy for any racer is to have their son or daughter take up the sport. Warren Jr. got bit by the racing bug early at Florida City and has been very active in it. 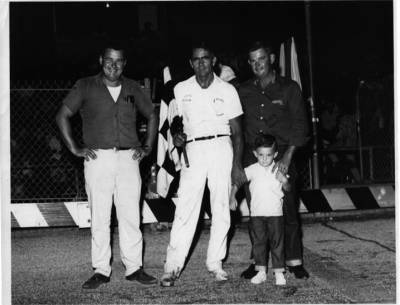 Warren Jr., shown here with Brady Mason, grew up and became Dr. Warren Paquin. 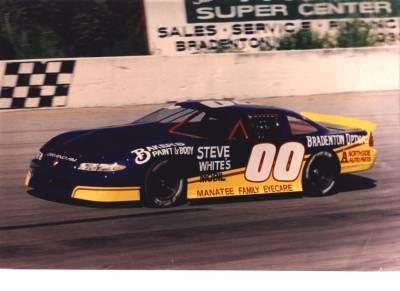 Here is a recent shot at De Soto Speedway of his late model. He also sponsors other cars besides his own. Dr. Warren managed to find something even more expensive than a racecar! 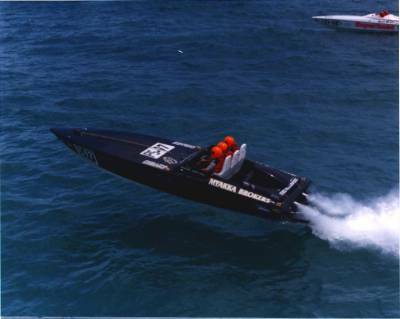 He is carrying on the family's winning tradition with a recent class win with this offshore powerboat.